Overview… an officious, pompous, incompetent U.S. Army doctor from Indiana. 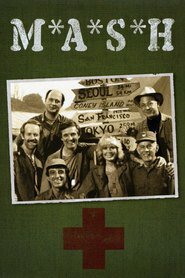 Frank never should have become a Major, let alone a surgeon stationed at a Mobile Army Surgical Hospital (M*A*S*H unit) during the Korean War. Second in command in the unit, Major Frank Burns is disliked by everyone in camp, with the exception of the head nurse Major Margaret “Hotlips” Houlihan, who would never date anyone lower in rank than she is. No one knows what Hotlips sees in Frank. Maybe he’s the only other person in camp that shares her belief that the army should be run “by the book.” Maybe it’s his talk of a private practice, a $35,000 house and two cars back in Indiana. Then again, it could be Frank’s whiny dependence upon her, preying on her dreams to be a wife and mother. Despite Frank already having a wife and kids stateside, which Margaret desperately tries to forget, she calls him “the lipless wonder,” while those sharing the officer’s tent with him make him the target of their pranks and jokes. Personality… close-minded, childish, and morally shallow. Frank Burns is a bad little dog that bites. Even his own brother, while in school, called him “Ferret Face.” Frank hates the fact that Hawkeye Pierce, who is only a Captain, is chief surgeon over him. Out of bitter jealousy, he throws his weight around camp, bullying nurses assisting him in surgery, newly enlisted soldiers, and the company clerk Radar O’Reilly. He is so disliked at the 4077th that several people have wanted to knock his brains out, including the mild-mannered chaplain, Father Mulcahy. Even the North Koreans returned him after taking him prisoner. His commanding officer, Lieutenant Colonel Henry Blake once said that Burns went over his head so often, his scalp had blisters. Yet the hypocritical Frank, who points out the moral indiscretions of those around him at every turn while carrying on an affair with the head nurse, still doesn’t understand why no one likes him. There’s a big difference between Frank and his married-but-cheating tent mate Trapper McIntyre; Trapper doesn’t lie to anyone or string women along. Hopefully Frank will someday see the errors of his ways, but don’t hold your breath. Frank Burns's popularity ranking on CharacTour is #3393 out of 5,000+ characters. See our top-ranked characters and read their profiles.